Have online banking. Keep track of how much you spend eating out and on entertainment. I print out our statement at the end of the month and add it up. When we first got married I looked at our statement and for a few months we spent between $450 to $650 on food and going out. I WAS SICK!!! That is so much money really just going out. We would always wonder where our money went and that is where..So we cracked the whip, we still go out and do fun things but there has to be a limit. There is no reason to spend that much money going out. So we decided we need to start bringing lunches and not going to movies and stuff as much. We sent our limit at $150 - $200. It is still a work in progress but we have done pretty good. Sometimes it is nice to sludge a little and go out and you don't have to spend a fortune. But we usually try and go places that have deals like the 2 for $20 at Chili's or make sure you check Group on or City Deals. It is a great way to try new places and get discounts. Also, check out dollar theaters. We have a dollar theater kinda close to our house in Provo and I get coupons emailed to me for the popcorn and drinks so it is actually pretty inexpensive. I think it is nice sometime just to say in, make a nice dinner and have a yummy dessert & cuddle while watching a movie or our favorite.. Comedy Central. We love to laugh! I will post more soon but these are just a few things that we like to do as a couple. 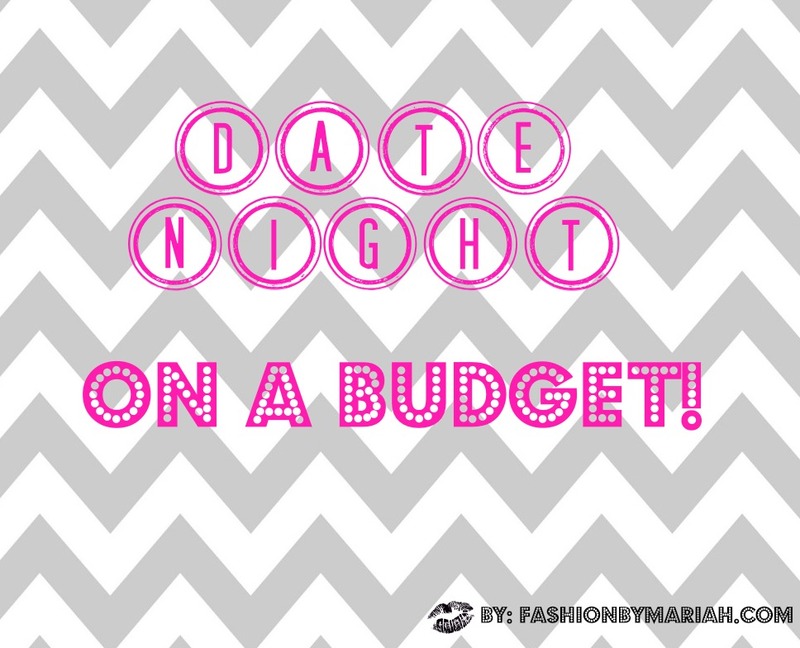 :) If you really have a hard time sticking to a budget when it comes to going out. USE CASH. For example our budget is around $150 so get that amount out of the bank in cash and when the cash is gone then you are done going out! Thanks for following! :) I hope you all had an amazing weekend! We love picking a Netflix TV show and watching a marathon while making and eating dinner. Those have been some of our funnest dates! Love the ideas you posted! We love that too! :) And thank you.